Yet another “Shocking Video!” (yawn) Why do people fall for this crap? If we had a dollar for every malicious email that said… You get the idea. However, criminals wouldn’t keep using these old tired social engineering tricks if they didn’t work. So, here’s another shocking video. “Do You Have Anxiety of Pain?” (We think they meant to say “or pain”) “Cannibis Oil Without a Prescription in All 50 United States” The link points back to azuremethod-dot-com. That domain was registered to our most famous misused mail drop in Grandville, Michigan. Read our Top Story from November, 2016. Another common social engineering trick we see over and over is cloaking malicious intent with a legitimately recognized news source. Such as this email saying “The Economist Has News About the US Dollar.” It’s a long email filled with social engineering malarky. Once again, you’ll see the address for that most reviled Grandville, Michigan maildrop at the bottom of the email. Can you afford a broken A/C this Summer? Do you have anxiety of pain? First Month FREE on Every Home Warranty! Wanted! Motivated Individuals to Work From Home! Will the Fed Issue New Currency? Except for the from address and the link revealed by the mouse-over, this email certainly feels like an application for an American Express credit card. Fortunately, the from address and a mouse-over the link tell the real story. From user-ru@ mailerassist.com –on behalf of American Express India? 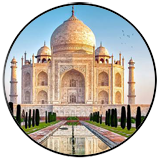 The domain mailerassist.com was registered July of 2016 to “jyoti kumar” and is hosted in Canada. The link actually contains a redirect to a website in India called icwononline.in. If you look carefully at the link at the bottom of the email you can spot it. Does any of this sound like AmericanExpress.com to you? You know what to do. “Still haven’t received your amazon ThankYou reward card? We’re sending this reminder because your card is still pending, and a few questions still need to be completed” says an email from messages@ busioler.com. If you continue to read this bogus pitch you’ll see that you’re pressured to respond quickly. Meadow muffins! The Zulu URL Risk Analyzer says that there is an 85% chance that the link in this email is malicious. Gee…. We’ll go out on a limb and call it 100%! 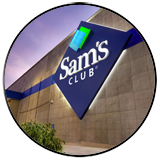 Check out this somewhat clever bogus email claiming to represent Sam’s Club from the domain samsclubgiftz.com. The domain was registered on March 29 but what’s so funny is that the screenshot history of this website shows that it had a front page titled “American Green Card DV Lottery Program Services” on April 1. Looks like the scammers are multitasking their scam sites. TOP STORY: If It’s Free, It’s Risky! 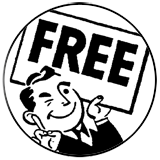 To make our point that “free = risk” on the Internet, we offer these examples starting with free samples of laundry detergent. According to this email, we can look forward to many free product samples! Oh joy! But we need to hurry because “we don’t know how long this will last so take this opportunity to claim your samples today.” Though the email comes from educationgrantsearched.com the links all point back to a subdomain (s11) of verifiedblue.com. According to a WHOIS lookup, verifiedblue.com was registered in August, 2016 but little information was posted by the person who registered it. Could this be legit? The domain is already seven months old. How about just a little something that starts free but we have to pay for later? “First month free on every Home Warranty.” Look at the accolades listed at the top of the email. Seems like a great deal, especially 1 month free! But that little tickler, and this email in general, are phony baloney. Links in the email point back to the domain responsible for it… steamedkeys.com. The domain was registered to our esteemed bogus mail dropbox in Grandville, Michigan. A recent screenshot of the domain’s website shows it to be a phony news mimic of a legitimate news site in Nigeria called Vanguard News. Run, don’t walk, away from this BS. How about a free chat with an astrologer and psychic? “Exceptional Ron” has sent us an invitation for a free chat about our future. (We’re no psychic but we kinda think we know where this is going…) He wants to use his skills in clairvoyance to change our life for the better. Therefore he must already know we’re going to avoid him like the plague of death! The email came from January-Updates@ rp.militaryscholarshipmia.com. Don’t you know where the links in this email point to? Oh, right. You’re not clairvoyant either so we’ll tell you. Verifiedblue.com. Yup. Same as the free laundry detergent scam above. We’re so sick of the phony Facebook notifications and wish we were done with them but they keep coming! Fortunately, the criminals who create this junk sent us one disguised to look like a Live.com friend request too. And the links in all of them point back to websites in Russia. Initially we pegged them for phishing pages but we we dug deeper on this one and it points to a fake Canadian online pharmacy… in Russia. We don’t have much hope for the legitimacy or efficacy of any medicine purchased from this site. Hell, we wouldn’t trust giving them our credit card info either. But we’re pretty confident that Putin would deny their exisitence. Oh, and in case you missed them, the malware-disguised delivery scam emails keep coming…. ON THE LIGHTER SIDE: Dear Lucky Winner! We are the lucky 2017 Samsung winner! At least that’s what the email says from Mostafa from Saudi Arabia. (2-letter country code = .sa) We were selected from 30 million email addresses! This is exciting. All we have to do is meet the claims requirements, statutory obligations, verifications, validations and satisfactory report. We wonder what all of that will cost us?